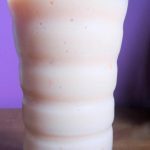 I am in love with the beautiful colour of this papaya shake or smoothie!! I actually wanted to write about Green Smoothie. I had made both but there was something about the colour that made me want to present this. This is my entry to So Many Smoothies, So Little Time. Actually, there is no such thing as a recipe here. Adjust the ingredients as per your taste. I have used milk hence I have used sugar in case you use yoghurt then you can use honey. Add all the ingredients to the blender jar. That is a lovely color and I don’t blame you for picking this over green. Love that baby pink kind of colour.. though if you ask me I will say green always. Anyway it’s about which one you want to choice….??? 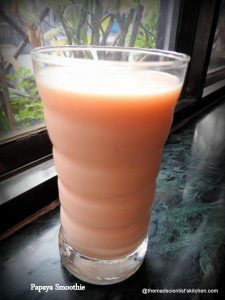 ?…never tried papaya with milk..
Lovely color and it must be delicious with all the goodness. 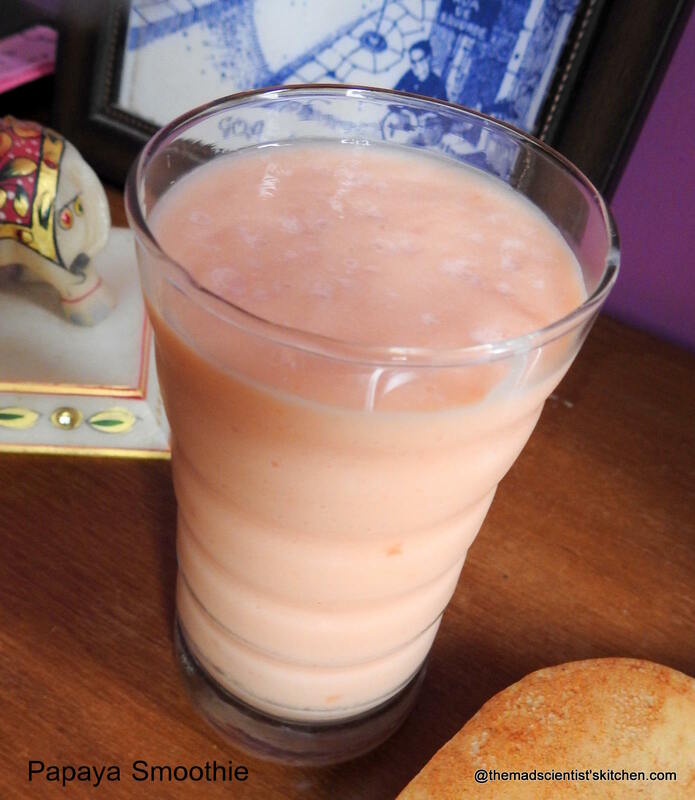 Ages i had smoothie with papaya, you are tempting me Archana. The pale peach color is so so pretty.., and papaya is such a delicious fruit..wow great smoothie. My favorite fruit arch! looks yum! Such a healthy and nutritious smoothie with papaya. Love it. How pretty is the color of this smoothie. Simple smoothie with great flavors. Love the flavor of papaya. I should try it out next time I get papaya. Love the color.